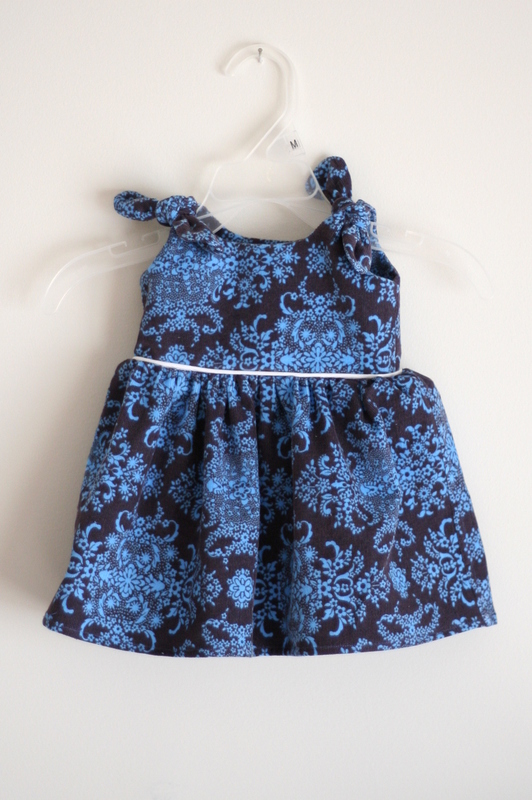 I am lucky that so many of my friends who are having babies are having girls, because I have the perfect go-to gift for them – the Itty Bitty Baby Dress! This version is a little different than the 4 iterations I’ve made before, since it’s for a winter baby. I found this adorably soft corduroy (Amy Butler’s Soul Blossoms) and decided to make it a jumper, so I gifted it with a pack of long-sleeve onesies so the baby can be cozy warm during the cold winter months in Florida (ha!). This entry was posted in clothing, finished. Bookmark the permalink. This is a darling jumper!